This post about the Atlanta World of Coca-Cola has been sponsored but all opinions express here are my own. My family has been living in the Atlanta area for the last 17 years. One of the kids favorite places to visit when we have company or a school vacation is the Atlanta World of Coca-Cola. On a hot summer day, spending a few hours touring the Coca-Cola museum is incredibly fun. We watch their fun 4D movie, explore the gift shop, and taste test dozens of flavors of soda. It’s a fun way to spend an afternoon. With summer vacation finally here (YAY! ), we will definitely be going back to visit again in the next couple of months. 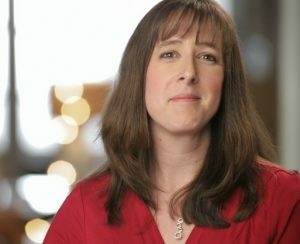 If you live locally or plan on visiting Atlanta this summer, I wanted to share a few must-see events and exhibits with you. You can also enter the giveaway for FOUR FREE TICKETS so you can come check it out for free! 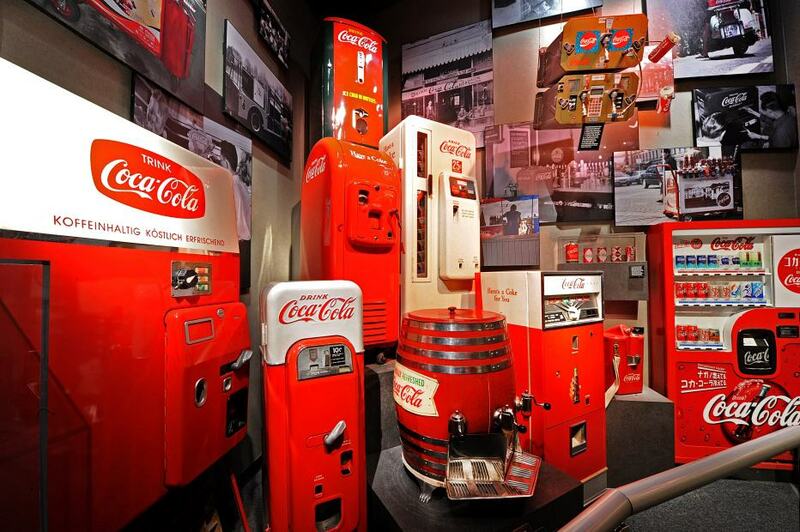 The Atlanta World of Coca‑Cola has welcomed guests from six continents, more than 100 countries, all 50 U.S. states and the District of Columbia. 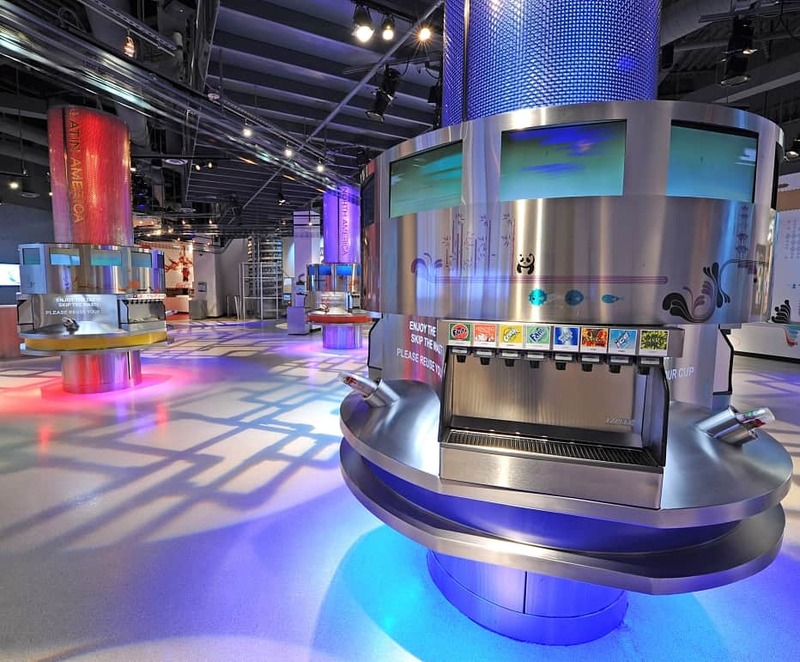 During your visit, you will experience the history of the world’s most famous beverage brand. Visit the vault containing the secret recipe, view more than 1,200 historic artifacts and get a behind-the-scenes look at the bottling process. Take a trip around the world in a thrilling 4-D movie experience, take a photo with the Coca-Cola Polar Bear and tempt your taste buds with more than 100 beverages from around the globe. In search of refreshing destinations for summertime fun? World of Coca-Cola is uncapping new experiences for everyone to enjoy. 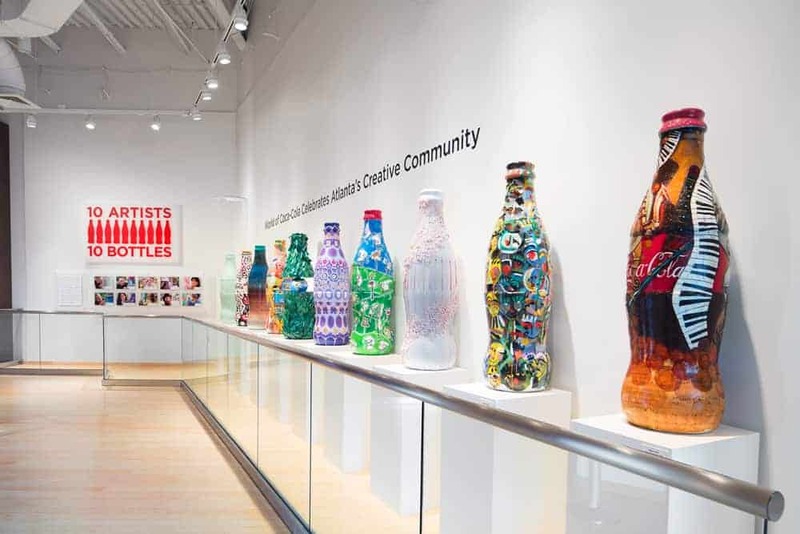 With interactive exhibits celebrating everything from Atlanta artists to soccer around the world, World of Coca-Cola is bubbling with exciting ways for families and friends to create memorable moments together. When you arrive at Pemberton Place on July 15 and 16, expect a warm welcome with a cold beverage. During the “Share an ICE COLD Coke” experience, sip on free customized mini cans of Coca-Cola and Coca-Cola Zero before interacting with the Bubble-izer, one-of-a-kind technology that virtually transforms you into an effervescent fizzy form. Be sure to snap a photo and share your new look with your friends! 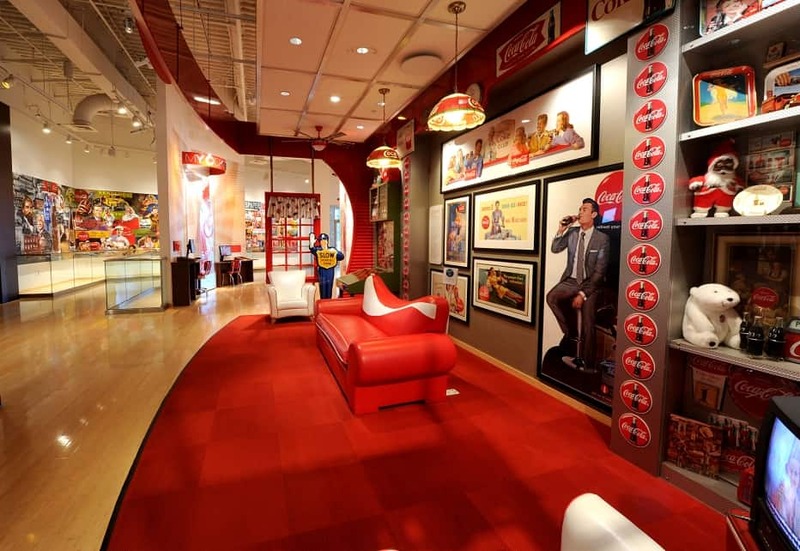 World of Coca-Cola is celebrating 10 years at Pemberton Place with a new Pop Culture Gallery exhibit that is overflowing with creativity and inspiration. 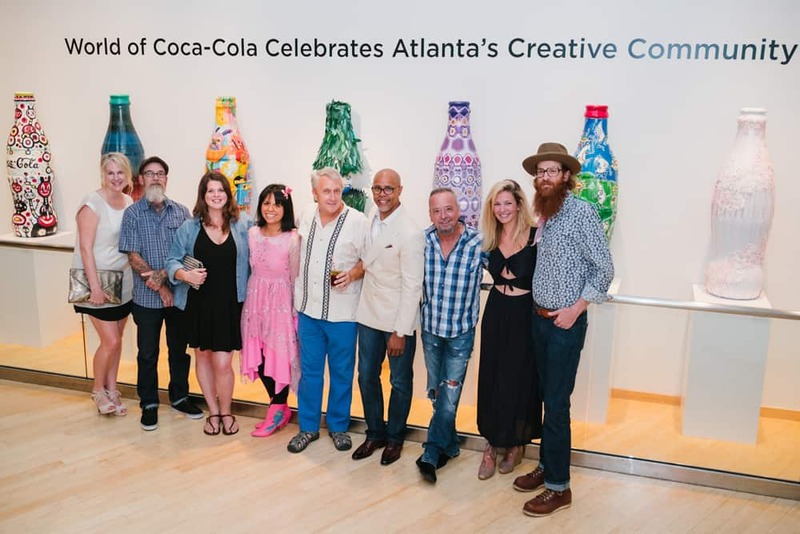 “10 Artists, 10 Bottles” features 10 different four-foot sculpted Coke bottles uniquely designed by 10 renowned Atlanta artists. With everything from abstract art to recycled glass bottles, the new gallery offers up a taste of local talent. Visitors have been buzzing about the #ShareaCokeWithATL gallery. The World of Coca-Cola is extending the temporary exhibit through November. 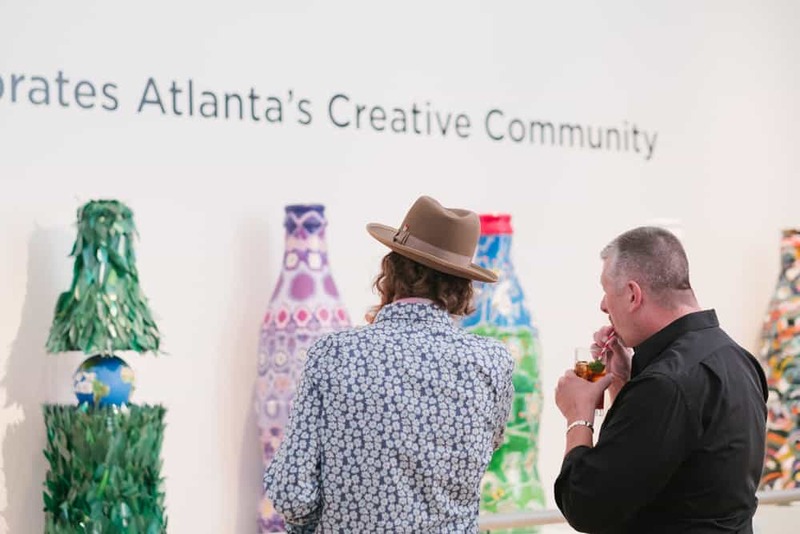 Featuring the work of 12 local Instagram artists, the #ShareaCokewithATL gallery celebrates the rich history of Atlanta and Coca-Cola with images pairing popular Atlanta landmarks with the iconic glass Coke bottle. Snap and share your own photos using #ShareaCokewithATL for a chance to be featured online by World of Coca-Cola. Whether you call it “soccer” or “football,” we are all excited to welcome Atlanta United to our hometown. To celebrate the team’s inaugural season and Coca-Cola’s longstanding support of soccer worldwide, World of Coca-Cola is unveiling the “Coke and Soccer” exhibit in the Hub this summer. With more than 20 countries represented, fans of all ages will have a ball exploring the collection of soccer memorabilia. Take your palette on an adventure this summer in the Taste It! beverage lounge, where you can sample more than 100 beverages from around the world. Savor new flavors like Indonesia’s Frestea Green Honey or the Dominican Republic’s Country Club Merengue, available for a limited time. Then, head over to the Sampling Bar to try one of the latest products from The Coca-Cola Company, like Honest Sport, which launches nationwide this summer. In celebration of 10 years at Pemberton Place, World of Coca-Cola will offer a limited-time Summer Pass. Valid May 26 through Aug. 31, the pass provides unlimited chances to chill with the Coca-Cola Polar Bear for just $25 – less than the price of two general admission tickets. Throughout the season, World of Coca-Cola will also announce special offers on its social channels, so follow @WorldofCocaCola on Facebook, Twitter, and Instagram to score some sweet deals! 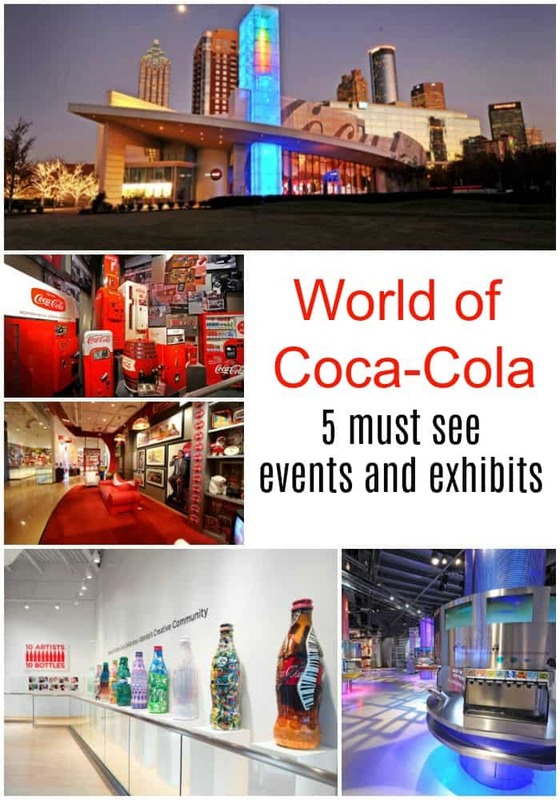 The great people at the Atlanta World of Coca-Cola would like to give one of my readers 4 FREE tickets to come and visit. Just follow the directions in the form below to enter to win! The taste it Beverage Lounge sounds like fun. I would love to bring my kids. I think it would be fun to take the VIP Guided Tour. I'm going to Atlanta for a visit and this would be a dream come true! My family would love to go to the tasting room for some samples! My son wants to try all of the different drinks in the Taste It! Beverage Lounge! Thank you for the chance to win! It would be great to see the tour and taste the many products that coke has throughout the world! I would love to see the Coco-Cola Theater and watch the Moments of Happiness film !